Caption slip reads: "Photographer: Lapp. Date: 1959-01-09. Reporter: Sandy. Special instructions: Traffic. 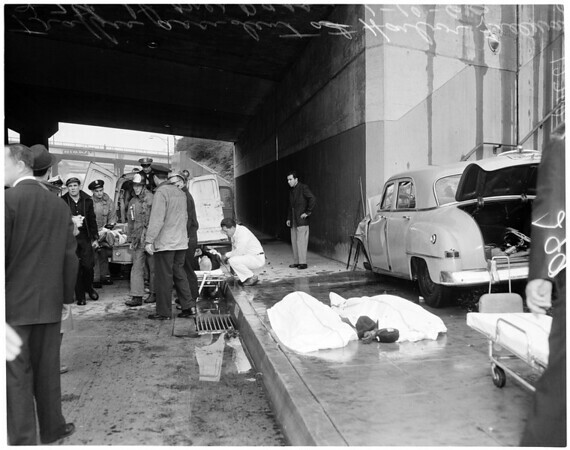 5 neg: 3 killed & 3 injured as car hits 7th St. over pass on bus ramp on Harbor freeway".